Last night I saw a Midrash on Psalms that helps to illustrate some of what I wish my fellow Jews would understand about Midrashim. Parashat Tetzaveh, most people will tell you, begins with the mitzva of lighting the Menorah. There's only one problem: the Menorah is not mentioned at all. The location of the nightly lighting is "in the tent of meeting, outside the curtain (parokhet), in front of the testimony." The location, within the Sanctuary, seems to be an integral part of the mitzva. If we look back at Parashat Teruma, we find that virtually every step is phrased in the second person singular--i.e., to Moses. But there are two exceptions, two cases in which the third person singular is used, "yaaseh otah," "he shall make it"--concerning the Menorah and concerning the hangings which close off the Sanctuary, the Parokhet and the Masakh. These hangings essentially ensure that the light of the Menorah does not leave the Sanctuary. This stands in dramatic distinction to the Menorah of the Temple. Shlomo builds the Temple with "open closed windows" (I Ki. 6:4), explained by R. Hanina and R. Levi (Lev. Rabbah 31:6) as "narrowing inside, widening outside, in order to illuminate the world." This is the difference between Mishkan and Mikdash. The Mishkan is a temporary structure, designed to be disassembled and reassembled for travel. It represents a nation--or a person--in the stage of development. Enlightenment at that point is quite insular. One is not ready to illuminate the world. The Mikdash, on the other hand, represents permanence and maturity. It is literally set in stone. From such an environment, light may go forth to illuminate the entire world. I know, I know I'm not here, but this was too awesome to keep to myself. In the Tweets that follow you will see the famous, and beloved John Podhoretz get all mad at me for making a joke about Fox, only, IRONY!, the joke I made about FOX was identical to a joke he had already made about MSNBC!! Is the guy so humorlessly partisan that he can't recognize something as funny if its directed at his own team? Note: Mr Mayer Fertig is mentioned here only because he re-tweeted the original Podhoretz joke. @jpodhoretz @MayerFertig No Fox viewers think it makes Obama look like a traitorous weakling with dictatorial ambitions. @jpodhoretz @MayerFertig Nope. was a joke. Just reverse of your own joke. Ironic that you're humorlessly accusing me of being humorless. @jpodhoretz @MayerFertig Of course you can reverse a joke. You cracked wise about MSNBC. I cracked wise in exact same vein about FOX. Anyway, it came to an end here because he blocked me. Ah well. For years, I've planned to use this song as my farewell. I even had a parody half-written in which I said "I don't believe in Slifkin... I don't believe in Mis-nagid...." It doesn't mean I've stopped believing in God - I haven't - or that I now worship Yoko - I don't - but it does mean a new phase has begun. For most of the last ten years my head has been exploding with ideas for posts. During the first year, I put them onto the blog at a rate of seven or eight per day. I probably started slowing down as early as 2006, but I still had plenty of content. Days with more than one post didn't become unusual until rather recently. Now suddenly, unexpectedly, it feels like the well is dry. Am I done? Have I really run out of posts? Only time will tell. It's very possible that I'll be right back here tomorrow, pounding out a new post just like I've done nearly every day for ten years. I like blogging. I like talking and arguing and interacting with all, ...erm most of you and I like the intellectual development those conversations have generated. I like the fact that so many of my old bad ideas about virtually everything have been corrected thanks to this blog. Also, habits die hard. Quitting this blog may prove as difficult as quitting finger-nail biting. Or, I may get back on Facebook and, reconnected with the amazing blog energy I've feasted on for the last ten years, I may embark on a new golden era, a new Summer of Love, as we called that small stretch of 2006 when it felt like this blog was the center of the Jewish blogging universe. Or I may find myself busy, preoccupied and without anything new to add to the conversation, and another day will go by without something new from DovBear. I honestly don't know. And I don't think I'm obligated to fix anything in stone. So yes, it may be business as usual tomorrow. It may turn out that what I've done today is simply sound out an idea, and empty out my head - both things I've done here hundreds of times before. What I do know is that this blog and the people I met through it have changed my life. I'm not talking about trivial changes such as "Previously I thought this was true, now I think something else is true." I mean basic fundamental changes in how I see and think about the work. The cliche is to say that those changes have been for the better, but who really knows? Maybe I'd be better off unaware of how everything - ideas, tastes, genes - evolve over time. Maybe I'd be better off not knowing that society must be pluralist, because reality is plural. Maybe it would be better if I still thought that our customs, and even our laws, had some cosmic significance. Maybe it would be better if I didn't know the truth: They are significant because of what they mean to us, not because of what they mean to Him. So while I like the smarter, better informed me, and I thank the readers for making it happen, who knows if I'm better off for it? About regrets? Yes certainly I have a few. I wish the prim and proper establishment members of the blogosphere didn't loathe me. I wish that the worm hadn't turned and that everyone online still had the good sense to remain anonymous. I wish I'd controlled my temper in a million instances. And I wish that I'd done more to cultivate and maintain relationships with the people I met online who would have become good friends. But mostly I wish that I had put ten years worth of energy into developing my real life brand, but as with everything else, who knows how that would have played out? Perhaps not for the good. One last thing. I'm really proud of how this blog was an open forum for conversation about everything, and I'm very happy that so many bloggers got their feet wet or grew their audiences by commenting or guest blogging here. A partial list would include Godol Hador, OrthoMom, Amshinover, Shira, Rafi of Life in Israel, Shanna, Lippman, Eliyahu Fink and so many others. Right, so I may be back tomorrow. In which case forget I said any of this. Kay? Good. Thanks guys. For every last thing. I suppose I owe it to you to say a few words about the #floodlibel, but what do I have to add? In brief, a spurious report, originating from irresponsible sources, alleged that Israel caused a destructive flood in Gaza by opening some dams. The story was picked up by a few, more responsible outlets, and like many lies, made it halfway around the world before the truth got its boots on. What can we learn from this? Not much. We already knew journalists are lazy. They like to piggy-backing on someone else's work and will often pick-up stories someone else has written. We already knew that individual journalists carry biases. Like every human being who has ever lived, reporters are subjective creatures who often look for ways to reinforce their existing beliefs or to promote their pet causes. The journalistic process is supposed to act as a check on this, but it doesn't always work. We already knew that Israel is no longer the darling of the progressive world To some extent Israel has done this to itself by embracing regressive, thuggish policies. And though that explains why some journalists approach Israel with a negative eye, its no excuse for the shoddy work that was on display yesterday or for the complete abdication of ordinary journalistic standards. Remember, we can expect bias from reporters, but the process is supposed to ensure that those biases don't lead to journalistic malpractice. Finally,we already knew that the RWers were going to make this into more than it is. Though there were some failures yesterday, most media outlets - including the liberals ones - ignored the story. Others, notably the Daily Mail, which I must say at first did an absolutely terrible job, quickly corrected their errors. Most of the really indefensible reporting came from publications no one considers reputable and (like Russia Today) aren't generally considered left-wing. 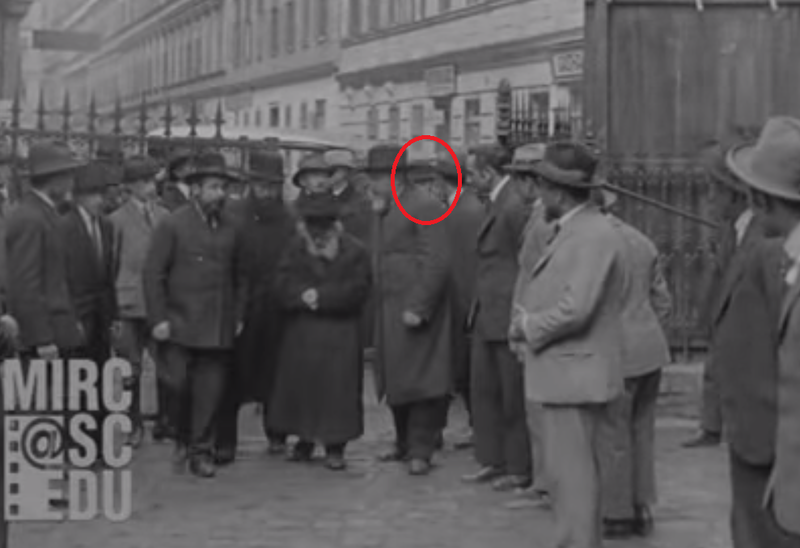 I imagine most readers have already seen this newly found footage of R. Israel Meir Kagan (1839–1933), popularly known as the Chofetz Chaim. 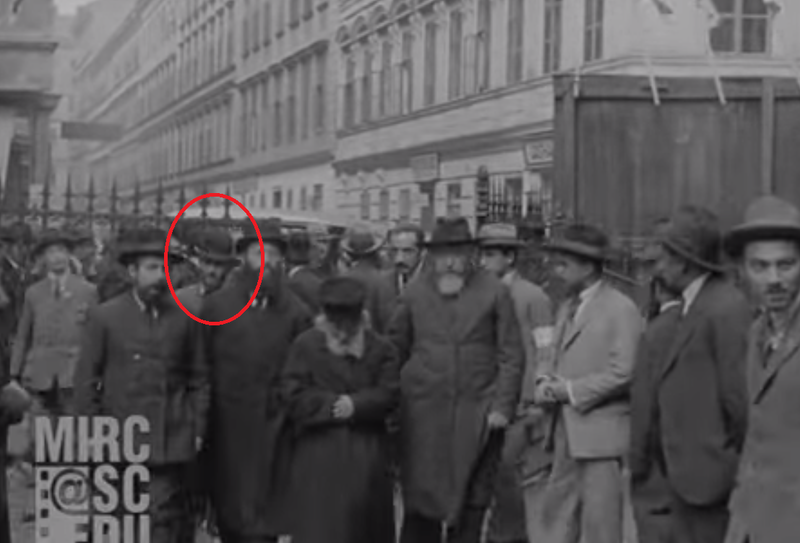 There is this "modern" looking fellow in a bowtie, who at the last moments of this section of the clip, runs up to the camera to cover it with two hands. Was he connected to the CC entourage? Why did someone try to stop him from getting past the CC? Was he acting on knowledge that the CC was unhappy about being videotaped? Was he just a random loon? Terumah is one of a few parashot that we moderns find mind-numbingly boring. The whole thing reads like a construction plan. What's the point? And I say this as someone who does not dislike HGTV. Still, all that endless detail about hooks and rings and curtains... it's a little much, no? Good job Jeb! Simpering before a foreign leader and disloyaly supporting him against your own president are exactly the traits and behaviors we expect from the next leader of the free world. Yesterday, the former mayor of New York accused the president of insufficiently loving America. Crazy stuff, right? I mean Obama (like every president) spends his every waking moment thinking about how to make America stronger and better, and Giuliani wants us to believe this supreme effort isn't the product of extreme patriotism? Here Giuliani is guilty of exactly the same sin Obama is alleged to have committed. He mentions the Crusades, but can't seem to remember that the Crusaders specifically targeted Jews!! In fact, he doesn't think the Crusades, which included the massacre of several Jewish communities, were wrong! Will the random-gate people make a commotion? No. And why? Either because Giuliani (thank God) is a nobody, and not worth the time to criticize, or because they can't overcome their own pro-Giuliani biases. The most basic Jewish idea of Moshiach, that is the core belief found in most, if not all the interpretations, predictions and writings on the subject, is that when Moshiach arrives (whatever that means; more below) things are going to be GOOD. We don't know what laws or practices will be brought back, or discontinued. We don't know if life will change dramatically with a new supernatural order being introduced, or if things will carry on pretty much as they did before. All we do know, and I mean really know, is this one thing: Whenever a Jewish thinker made a prediction, or shared a deduction about Moshiach he always, always, always predicted or deduced that things post-Moshiach would be GOOD. In my post yesterday, I made my own prediction. I said that, unless God magically lobotomizes everyone, Moshiach and his followers will crack down on those Jews who were expecting a different kind of Moshiach, and aren't ready to accept the New Order. I imagined that Moshiach would inevitably advocate a style of Judaism that some other Jews would find intolerable and that infighting would be the inevitable result. I still think there is something to that, but I recognize its not the only possible outcome. See, maybe Moshiach doesn't come on a donkey. Maybe "Moshiach" is a word to describe the goodness that results as mankind gets its act together. I don't know if we're there yet, but our Southern States are certainly closer to Moshiach then they were when Jim Crow was the rule of their land. We may have miles to go, but Russia is closer than it was 30 years ago, isn't it? As mankind improves, and puts away its ancient prejudices and pettiness, aren't we getting closer to the GOOD? Might that be what's meant by Moshiach? People getting along, and treating one another with justice? Moshiach may not appear in the Pentateuch or the Prophets, but this idea that Zion is only redeemed with justice, and that we're all going to suffer until the widow and the orphan are treated properly is everywhere in those books. Everywhere. [*]I am aware the Talmud and virtually every Jewish thinker of note - from the Mishna on - thought Moshiach was an old, old Jewish idea. However, what can't be denied is that no mention of him appears until Daniel (though hints are discovered in other books) and that nothing overt is said about him, or what he will do anywhere in the Hebrew bible. If you're of a skeptical bent, this is strange and troubling, and perhaps strongly suggestive of something at least quasi heretical. Do you really long for the arrival of the Messiah? Think about this question carefully. There are many views about what the Messiah will do. Among the Orthodox, the most common expectation is that when the Messiah arrives the whole world, or at least the whole of Jewry, will live under the law of the Torah. This is less cool than it sounds. Living according to Torah law means bringing back kings, and permitting slavery. It means permitting child marriage and polygamy and several brutal forms of execution. If the Messiah is a Haredi, his arrival also means the imposition of severe limitations on personal freedom and fewer rights and opportunities for women. A Haredi Messiah, with teachings that are in line with current Haredi ideology, would also mean the elimination of all the non-Torah industries and the widespread unemployment that would follow. All of the lawyers, entertainers, journalists, politicians and the people who depend on them will need new vocations. But will the Messiah actually be Haredi? Unclear. He might be some other flavor of Orthodox Jew. Or perhaps he won't be Orthodox, at all. In any event, his arrival and anticipated preference for one expression of Judaism to the exclusion of all others will also mean the elimination of Jewish diversity. If you're like most Jews you sort of unreflectively expect that the messianic era means your sect will dominate, but how can you be sure? Perhaps the King Messiah will be a reform Jew. Perhaps he'll insist that all the familiar and cherished rabbinic pieties we've accumulated over the last 2000 years are invalid, or no longer needed. Will the Orthodox stand for that? And even if he's Orthodox, he might not be your kind of Orthodox. What if he's a Litvak? Will the Hasidic rebbes resign their authority and recognize his? Unlikely. And what if he's Satmar? Would Lubovitch stick around for a Satmar king? No chance. In short, the whole beautiful idea of one unified Judaism under a universally accepted Jewish king sounds impossible unless quite a few heads are broken first. The King Messiah will need an army of secret police to root out and destroy all the competing flavors of Judaism, even within Orthodoxy. It will be like something out of an Orwellian nightmare, at least at until the opposition is defeated. Perform the wrong ritual, think the wrong thought, worship God in a way not authorized by the King, and you can expect severe punishment. That's the Torah way, isn't it? And no out-of-favor-sect will be safe. If the King is a Maimonidean all of you who believe in magic, demons, and specific divine providence will require re-education. Utter any of the well known, beloved prayers which reference the saving powers of angles, and the Maimonidean king will have not just the grounds, but the obligation, to execute you for heresy. And similar examples can easily be found no matter what style of king has the throne. Every Jewish sect does something terribly wrong by the lights of the other sects. Unless these real, entrenched, differences of opinion are made to magically disappear the king will be required to root out the opposition and to bring the rest of Judaism into line by force. The form of the verb (perfective instead of the usual imperfective prefixed by waw) may well indicate a pluperfect, and Rashi, no doubt noting that what Moses does here is go up to the mountain and bring back God's words claims, "This passage was said before the Ten Commandments." The significant nuance is lost in translation, but Alter's point is here the verb אָמַר means "had said" putting the events described in the passage in the past. Like Rashi, he reads Exodus 24:1 as "And God had said to Moses..." Also, noteworthy is that the usual verb for a divine command - וַיְדַבֵּ֣ר - is not employed here. When did we say Na'asheh V'nishma? One of the more confusing disagreements is found at the end of Parshas Mishpatim. Though the sequence of events at Mount Sinai seem perfectly straightforward, one minority opinion rearranges them creating all sorts of interesting ramifications. Preparation for the revelation at Mount sinai. Various rules are given. 21:1-23:33 A long set of civil laws introduced with the phrase "And these are the mishpatim [ordinances]"
And He said unto Moses, “Come up unto the Lord, thou and Aaron, Nadab and Abihu, and seventy of the elders of Israel, and worship ye afar off. According to Ramban, Ibn Ezra, Ohr Hachaim, and Rashbam this is the order of events at Har Sinai. Thus, the famous proclamation of Na'asheh V'nishma was declared after the torah was given. There is one minority opinion that disagrees. According to Rashi, section #5 [Exodus 24: 3- 8] occurred at the same time as section #1 [Exodus 19: 1 – 25]. Thus, Naaseh V'nishma (along with the covenant ceremony, offerings and the meal and the divine revelation) occurred before the torah was given. Why does Rashi re-arrange the sequence of events? In Exodus 24:1 Moses is told to "Come up to the Lord"; however according to the plain reading, he's already on the mountain when this command is given. A covenant ceremony rightly belongs before the deal is executed. You sign papers, before you take possession of the house. So, too, the blood needs to be sprinkled before the Torah is received. The events of Exodus 24:2-8 sound like a second revelation, which Rashi would have found untenable. Lots of reasons. Here are some of the ramifications. In Exodus 24:3, we're told that Moses gave over "the words of God" and the mishpatim [ordinances]. According to the straightforward reading these are all found in the Ko Tomar section [Exodus 20: 18 - 23:33] a large part of which is introduced with the words "And these are the mishpatim" If you read like Rashi, Exodus 24:3 occurred BEFORE that section and can't be referring to it. As a result, Rashi is forced to reinterpret the words. He says the "the words of God" are the regulations about staying away from women, and the mountain during the days before the revelation, while the mishpatim are the Noahide laws and the rules given at Marah. He does not explain why these laws were repeated at this juncture; not having this explanation leaves his answer unsatisfactory. As mentioned, it changes the timing and also the meaning of Naaseh V'nishma. According to Rashi, this declaration comes before the Torah is given and is an act of blind faith. According to everyone else, it is made after the torah was given, and means only we'll do (what we've heard so far) and we'll listen (to the rest of it). It also changes the timing and the meaning of the feasting and revelations. According to Rashi, these acts are part of the preparation for the revelation. According to everyone else, these acts are themselves part of the revelation. The meal is one of celebration. In fact, Rabbeinu Bachaye says the post-revelation meal is identical to the meal hosted by the high Priest upon his successful completion of the Yom Kippur service. Finally, it changes the view of the meal itself. According to Rashi, the meal was a sin, committed by just two of Aaron's sons, for which they were later punished. According to everyone else, the meal was a perfectly appropriate response to the wonderful events at Sinai, and it was enjoyed by all the leaders who simultaneously experienced a divine vision. A proposal was sent by the White House to Capitol Hill on Wednesday to formally give the president the power to continue the airstrikes he has been conducting since last fall against the Islamic State. A three-year limit was requested, meaning the president can't pull a George W. Bush and attempt to wage a never-ending war was against a nebulous shape-shifting entity. But if you're a RWer nothing this president does is ever excellent. Of course the picky-sticky RW complainers found something to hate. But because attacks against the Jews aren't included in this catalog of offenses, some on the RW have concluded that the president, who they take for a Jew-hating moron, doesn't realize that ISIS is also anti-Semitic. And instead of applauding the president for taking the action that they have been begging him to take* they are slaughtering him for the way that he worded the authorization request. As per usual, the RW is not being fair or reasonable. They prefer to bash Obama when the obvious answer in right front of their nose. The war against ISIS requires help from countries like Jordan, Yemen and Saudi Arabia. Including Israel or the Jews in the resolution would invite pro ISIS propagandists to announce that the US is fighting a Zionist-sponsored war, making it impossible for our Arab allies to participate fully. By omitting Israel from the resolution, he invites criticism from haters and morons without jeopardizing needed support and assistance from the Arab world. Clearly, that's the right call. And if it had been made by a RW hero like George W. Bush you can be sure this would have been acknowledged. What's your synagogue's policy on who can be a member? This morning, Twitter asked: "What's your synagogue's policy on who can be a member?" and I confess the question puzzled me. Our nice little RW shul collects about 2 grand per family in membership dues, and I can't picture the men who run our shul ever leaving so much as a dime on the table. If the pope sent in a membership check, I'm sure we'd cash it. Also, I can't think of a single benefit members receive over non-members. Everyone pays the same fee for a kiddush, and everyone gets aliyot (and, honestly, is being denied an aliyah such a tragedy? Its just another chance for the shul to hit you up for a donation.) Someone who has been "denied membership" hasn't lost anything. The question suggests its different on the left wing, but how? I also can't imagine my shul barring entry to anyone who came to pray, or sit quietly (or, let's be honest: chat quietly.) If a non-Jew were to walk in, we'd probably ignore him. We certainly wouldn't expel him. And if a Jew with a non-Jewish spouse were to enter, we'd ignore that, too. Now, I will confess that while the non-Jew would likely be ignored at first, a crisis might develop over time as the hotheads and pius complainers gathered steam. But I can't even guess how that crises might play out. Would the non-Jew be asked to stay home? Would he be confronted? I really don't know, but would be quite amused to witness a test case. We live in a very unfair universe. In the space of just a few months we lose Colbert and Stewart, while Limbaugh, Hannity, O'Reilly and the insipidly dishonest Fox and Friends continue. Who will pick up the mantle of satire? Is Tablet being greedy, stupid or what? Tablet Magazine has announced that they will begin charging readers for the privilege of commenting on their articles. I admit to not having researched this, or to having checked with anyone at Tablet, but standing here on one leg, it seems to me that the decision is motivated either by greed or by a misguided desire to "clean up" the comment section. Or perhaps both. The (apparent) logic: Hey, people LOVE commenting here. We get thousands and thousands of comments! Let's cash in, and charge an admission fee! The mistake: People aren't used to paying for the right to leave a thought on a web page. They will resist. And as the articles collect fewer and fewer comments, we'll see a negative snowball effect because no one wants to talk to an empty room. The (apparent) logic: Wow, people say a lot of nasty things on our comment threads. Reading those nasty things make us sad. And all the mean remarks are probably discouraging upstanding people from joining the conversation. If we charge to comment, the nasty people won't bother to pay and continue commenting, but the upstanding people will. (1) In many cases, the nasty people and the upstanding people are one and the same. (3) No ordinary reader sees as many comments as a moderator sees. While a moderator might be overwhelmed by the sheer column of negativity, the ordinary reader never sees that many comments. Also, a moderator is likely to perceive a criticism of the article or the magazine in a personal way that the ordinary reader won't. Ultimately, I think any attempt to limit the conversations on a comment thread is misguided. Though the moderator should certainly delete abusive or openly hostile comments, vigorous no holds barred conversation is what makes a comment thread successful. 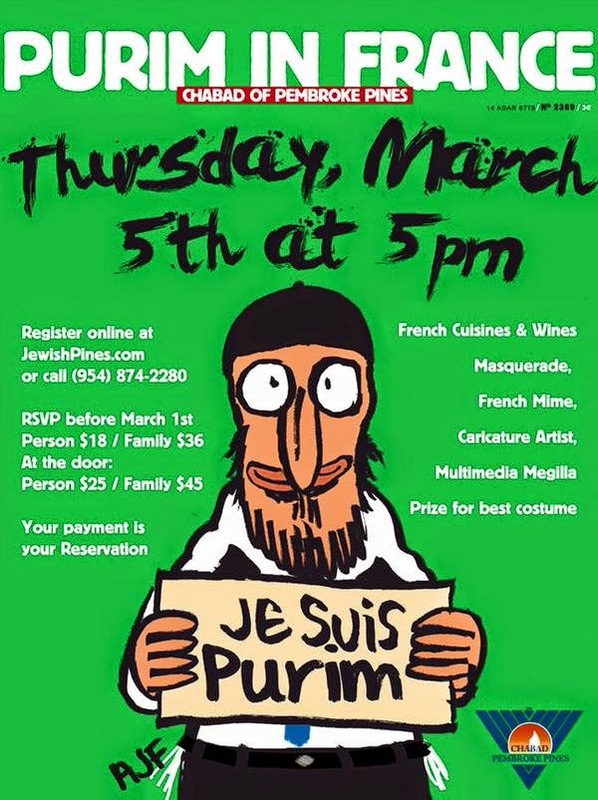 Here's a #JeSuisCharlie Purim shtick that might be right on the line of appropriateness. See what you think? On the plus side it honors the old Jewish tradition of using Purim to process and move past the low points of the previous year. On the negative side a massacre might not be the sort of thing that a Purim can process. What bothers me most about this is the creator seems to have forgotten the Jews who died at the supermarket and seems to think the death of gentiles is something to joke about. 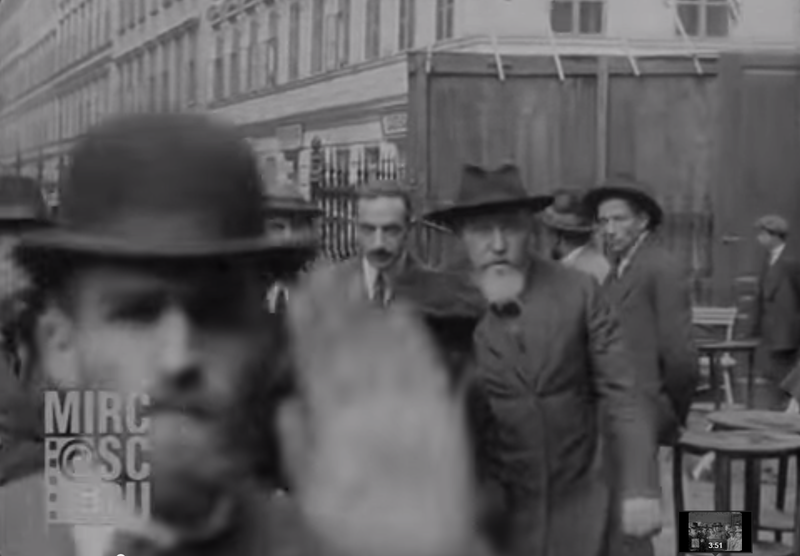 Are these Neo-Hasidism or Christians? 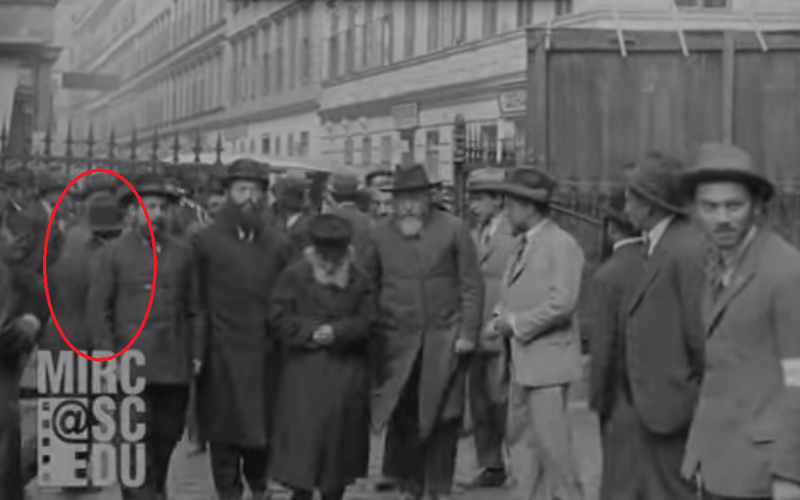 Are these Neo-Hasidism or Christians? The gesticulations, huddles and hand motions all look very familiar, don't they? They're even separated by gender! The only discordant note is the music. So what does all this mean? Well, for starters every religion has its hyper-emotional adherents, and often they break off into their own sects. What might be called "Kalte Christians" prefer chants, and ceremony and the pomp of a high Catholic or Anglican service, while their version of Neo-Hasidism affiliate pentecostal and enjoy services such as the one depicted above. But is one style of worship better or worse than the other? Of course not. While Pentecostals and Neo-Hasidim are fond of imagining that their perspective is the only legitimate one, the reality is that different types of people can find the exact same sort of meaning and significance in very different events. You might feel affirmed, exalted, uplifted and overwhelmed following a Carlebach drum circle, while someone else finds the same Nirvana sitting in a beautiful room, listening to a well-trained chazan perform ancient melodies in the traditional style. Others thought that his name was "Reuel," interpreting it "the friend of God"
He was called Jether (Ex. 4:18) because he was responsible for the "addition" of a passage to the Pentateuch; Jethro (Ex. 3:1), because he "overflowed" with good deeds; Hobab (Num. 10:29), the "beloved" son of God; Reuel (Ex. 2:18), the "friend of God"; Heber (Judg. 4:11), the "associate" of God; Putiel (Ex. 6:25), because he had renounced idolatry (niftar; another interpretation, however, is that "he fattened calves" (pittem) for idolatrous sacrifice: BB 109b); and Keni (Judg. 1:16) in that he was "zealous" for God and "acquired" the Torah (Mekh. Yitro, 1). Hobab, therefore is not Moses's father-in-law, as the Masoretic text says in Num 10:29 and Judges 4:11 but his son in law and the the word hoten should be read as hatan. Here's the verse. As you Hebrew readers can see its a simple matter of changing the vowels. No idea if this video features actual Ponevitch boys, but they are play-acting an ISIS style execution of a Ponevitch student who disrespected the executioner's Rebbe. As the shtender-guillotine comes down you can hear laughter, so clearly the actors and producers know that the idea of one Jewish sectarian slaughtering another is, for the moment, absurd. Yet, I found myself wondering: for how long will this remain true? Both Islam and Christianity have produced murderous, irrational, fundamentalist extremists within living memory. If you go back far enough the Jews have, too. Though men like Stalin (who was raised Eastern Orthodox, and relied on help from people of similar background ) are always presented as a counter-example, it remains true that someone certain he is acting for God, in the name of capital T truth, is capable of anything. So to return to my original question: For now, the idea of one Jewish sectarian slaughtering another is absurd; yet, for how long? Already Haredim bellow that those who don't believe as they do are destroyers of holiness and wreckers of civilization. Already they riot whenever their sensibilities are disrespected. Already they resort to violence when they think their way of life, or the holiness of their camp has been threatened. What's next? Will they get better or worse over time? Did only Levites leave Egypt? Richard Elliot Freedman has a new book on the way in which he argues that only Levites left Egypt. He says that they were the ones who experienced slavery and knew of the God called YKVK. After migrating into Israel they shared these teachings with the loosely related tribes who were already there and gradually, over time, it became part of the Israelite sensibility. The main point in favor of this argument is that only Levites and Levites agenda items (like the temple) are mentioned in the Song of the Sea, which is widely considered to be the oldest (or second oldest) part of the Bible. Meanwhile, Levites and their agenda items are not mentioned in Deborah's Song, also widely considered to be the oldest (or second oldest) part of the Bible. He suggests that each song dates to a time before the Israelite tribes and the Levites encountered one another. The part of this that is thrilling is that it represents the first critical argument in support of an Exodus experience (that I know about) . Instead of reminding us that no real evidence exist for the Exodus and that there is no conceivable way that so many people could have moved through the desert, here is a noted scholar and critic arguing that at least some of our forefathers did escape Egypt. Women’s empowerment in the United States has traditionally been linked to economic opportunities, to women becoming wage-earners. Back in 1950s America, most women were homemakers, dependent on their husbands to bring home the babka, so to speak. Part of what was celebrated as “women’s liberation” entailed the increase in women earners, where the distaff partner in a marriage was not economically dependent on the stubbled one. Unfortunately, this is barely 1/3 of the story. Historians recognize three movements or waves of feminism. Second wave feminism, dated to the early 1960s, is what Avi has in mind with his tossed off reference to "women's liberation" but second wave feminism was about more than economic opportunity: It touched on every area of women's experience, including family, sexuality and work. So while, the Haredim might (see below) be doing an OK job getting women into the workforce, this isn't quite enough to secure them the crown for World's Most Feminist Faith. Women who belong to other sects and faiths are also employed, yet they enjoy far more economic opportunity, aside from the additional freedoms they enjoy in areas of secualtiy and family. Now let's talk about all that extra opportunity. Avi is proud to report that more and more Haredi women are entering the workforce and he presents this as proof that Haredi Judaism is not just ordinary feminist, but most feminist. He seems to think that you're a feminist whenever you give your wife more to do. Only that entirely misses the point. Going to work for the sake of going to work wasn't the goal of second wave feminism. From the beginning of time, economically disadvantaged women have gone to work. The feminists of the 60s weren't merely seeking work or money. They were seeking freedom and opportunity, and they believed both would follow once they proved themselves in the workplace and earned some of their own money. Is that really what's happening in Hareid society? Here's the test: Are all of those working Haredi women following in the footsteps of the middle class American women c 1960 who saw going to work as a first step toward winning control over their own bodies and their own lives? Or are they more like the poor, disadvantaged women who from time immemorial took jobs to stave off starvation? Are Haredi women going to work because they wish to open the doors of opportunity? Or is this just a matter of survival? Here's another test we can use to evaluate Avi's claim: Do Haredi men have any intention of granting Haredi women control over their own lives and bodies? Will they be allowed to defer childbirth on their own initiative? Will they be allowed to pursue higher education, or to take unpaid time off from work to prepare for better-status jobs? Will they be allowed to directly take part in shul or community affairs, or will they always be forced to speak publicly through their husbands? The answer to all those questions, of course, is no and this is why Haredi culture is decidedly anti feminist. It obstructs women from following any path but the traditional one: They must have many children. They must let their husbands speak for them in matters of public concern. They aren't allowed to pursue higher education, or even to study Torah at an advanced level. It seems clear, therefore, that the fact that so many of them work outside the home is also a perpetration, rather than a discontinuation, of traditional practices. Women with husbands who were unable or unwilling to work have always had to pick up the slack, and the phenomenon of working Haredi women represents nothing other than this. When I saw the interception that ended the Super Bowl, I joined the cacophony of voices, both at my house and on Twitter, who thought Pete Carroll had made a grave mistake: Why did he call for a pass, when he could have given the ball to the best running back in the game? Having had a few days to think about it, I now think our criticism was unfair. At the crucial moment, the Patriots were playing the run. Seeing this, Carrol realized he had a mismatch. Calling a pass against a defense that's cheating for the run, gives him a slight advantage. Two runs and a pass > two runs. Two runs and a pass with at least one mismatch and possibly two mismatches > two runs with no more than one mismatch. The timing of yesterday's brawl at the Ponavirch yeshiva could not have been more delicious. Here in America we Torah True Jews were being told to avoid the superbowl because it promotes violence and hastens the deterioration of our character and at the exact same moment a brawl was underway among the ideological bedfellows of the rabbis who delivered that warning. A brawl. In the Ponevitch yeshiva. 1) The claim that Torah perfects the personality appears falsified. Guys who learn all day all still guys and even guys who learn all day are prone to stupid, violent behavior. 2) The selection of the Ponevitch rosh yeshiva seems as political as any other succession fight. Yesterday's brawl was between supporters of the two leading candidates to take over the yeshiva. Obviously the final choice won't be made purely based on piety and scholarship. The guy with the best army might win. 3) Sorry Yair Lapid, but giving these thugs additional military training may not be the idea. If they take to the streets and go around pounding each other over the choice of a rosh yeshiva what might they do with a prime minister ship at stake? Has being banned from Facebook been good or bad for me? As most of you probably know, Facebook expelled me back in November. The official explanation is that my pseudonym violates their name policy and several other bloggers with fake names, including HaRav Pinky Shmekelstein were tossed at around the same time. Though a recent, entirely unfounded rumor says a kiruv Rabbi turned us all in, I've always suspected the anti-vaxxers. Indeed, the night before my account was terminated I had a long, ugly argument with several of them. Over the last few months I've had very little contact with Facebook, or with many of the dozens if not hundreds of people who interacted with me there. An activist called Sister Roma took up my cause at Facebook headquarters and a reporter friend made some inquries but Facebook itself remained silent. Meanwhile, Pinky enjoyed a breakthrough and somehow got his account restored, fake name and all. Has losing Facebook been bad for me? For ten years I feasted on what might be called "blog energy." That's my catch all phrase for the fantastic exchange of ideas that happens on my comment threads. Once upon a time, a post here would have twenty comments within two minutes of posting. Threads with four or five hundred comments were not unusual. That hardly happens here, or any blogs, anymore but it did happen on my Facebook threads, which is where some of that blog energy relocated. Being suddenly deprived of that rapid, furious, brilliant exchange of ideas has been an adjustment. Non-afficiandoes often disparaged my comment threads as snark havens or places where angry people insulted each other but they were wrong. My comment threads, both here and on Facebook, is where people who were willing to argue honestly got smarter. Not because of me. In fact, I probably hold the record for having made the most losing arguments on those threads. But losing those arguments - over Bible criticism, or haredism, or Zionism - made me smarter because by confronting the better arguments I was forced to abandon the bad ones. I wasn't quite ready to leave the University which is what it feels like to lose access to those magnificent debates. On the other hands, losing Facebook means having one fewer platform to manage. It means having fewer nudniks and trolls harrasing me. It means getting trapped in fewer go nowhere arguments with abject denialists. As a result it means having more time to devote to the blog itself which means better posts and better threads here, I hope. I started this post hoping the process of writing it would help me discover if losing Facebook, by which I mean access to a large, intelligent community, has been good for me. I didn't find the answer. Maybe it's too soon to tell. Maybe the answer is that for a very long time I was a guy who spent most of the day discussing and arguing ideas with a huge variety of people and now, having lost access to the network, I'm not that guy anymore. So it's not a better or worse it's just a new and different form of existence.